In my practice, breast augmentation surgery is hugely popular and I always try my best to give my patients great results and utmost satisfaction. With summer on its way, plastic surgeons do see an increase of breast surgery requests but there are many things you need to know and ask before making the final decision. Before getting on with this month’s newsletter, I need you to know that my patient’s health and safety are my priorities and I always guaranty that silicone, and all the implants I use for all the breasts surgeries, are extremely safe and have undergone extensive research and testing. I hope you enjoy what follows! You will see, upon consultation for your breast augmentation surgery that breast implants vary greatly in shape and size. Silicone implants are the most popular as they feel more natural than saline implants. I am not saying that saline implants are hazardous but there have been complaints linked to deflation. 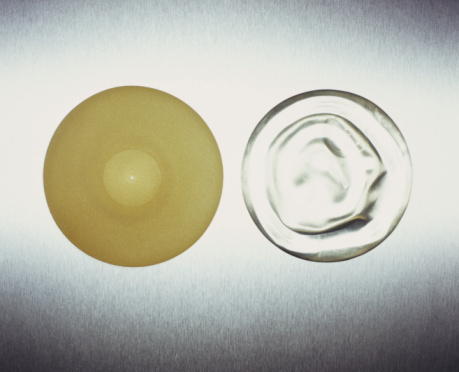 Breast implants can be textured or smooth. Most implants used in my practice are textured because research suggests that this is what gives the best rates of long term complications. It is thought that by choosing textured implants, we lower the chance of scar tissue forming around the implant. In the past the shell of the smooth implants has been slightly softer; you will feel it less through the skin and tissue but this is no longer the case. Please don’t be overwhelmed, I will take the time to discuss this with you in details so that you fully understand the procedure and its outcome. During a breast augmentation surgery, there are 3 placement options: behind the muscle, in front of the muscle or half under the muscle and half under the bust. But because each patient is unique and wishes for different results, I will decide what’s best for you upon our one on one consultation. During your consultation, I will advise you on the implant placement depending on your soft tissue characteristics and cosmetic desires. Each has their advantages and disadvantages: I personally prefer the infra-mammary fold or the periareolar but of course I will explain the pros and cons of each incision and answer all your questions before we make the final decision. The breast augmentation recovery does vary from one patient to another, but I usually advise my patients to take one week off work in order to get a good quality break and allow the breasts to heal nicely. Expect your breasts to be swollen and tender and to experience some discomfort for a few days after the op. After 5 or 6 days, the mild bruising will have disappeared but the swelling may remain for 3 to 5 weeks after the surgery. Full recovery should normally be complete 6 weeks after the breast augmentation surgery. Light activities can be resumed 2 days after the breast augmentation surgery but you must wait one whole week before resuming regular activities. I always insist that strenuous activities have to be avoided for 4 weeks in order not to impair the healthy recovery. When it comes to exercise after a breast augmentation, I cannot stress enough how important it is to take it easy as certain movements can damage the operation’s results if done too soon after the surgery.